A history of the month that transformed the world’s greatest nations as Russia faced revolution and America entered World War I. It is not too much to say that the month launched the world on a trajectory it would follow for the rest of the 20th century, the very argument Will Englund successfully makes in this new fast-paced history ... This is a book full of haunting, unforgettable wartime images: shivering residents of dark Berlin picking through rail yards for pieces of coal. Zoo elephants enlisted to pull sledges through the snow. Russians getting lice in the subway after standing too close in crowded train cars to soldiers back from the front ... 'World War I gave rise to the idea that it was better to fight the enemy abroad than wait for him to attack at home,’ Englund writes in his last paragraph, a passage that alone justifies the 322 pages that precede it. Englund deftly intertwines the Russian story with the American one, in an eventful month that launched America into the world and signaled Russia’s temporary retreat from it. But the causal connections are opaque. March 1917 is a remarkable portrait of two countries on the cusp of change, but their entry and exit were ultimately minor drivers of the near-term military and political outcomes across Europe and beyond. 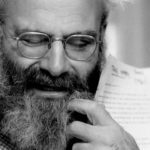 ...[an] energetic, intensely readable book ... 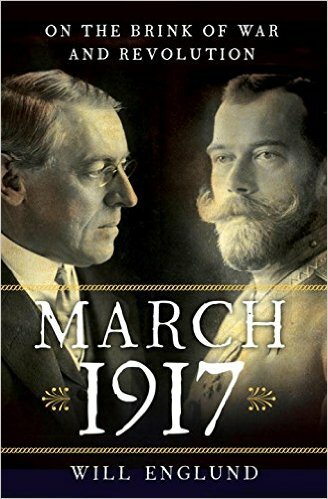 In sure, economical strokes, Englund describes the hopeless gap that quickly widened between the country's new political realities and its well-intentioned but hapless former monarch ... the careful history in March 1917 also doubles as a warning. What did you think of March 1917: On the Brink of War and Revolution?